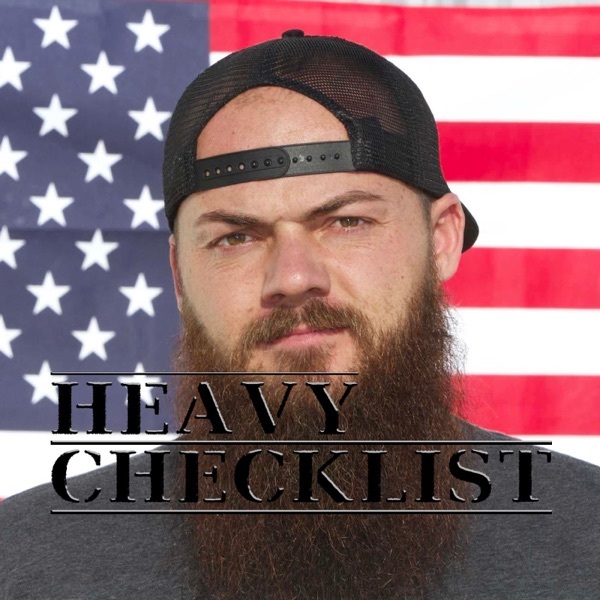 HEAVY CHECKLIST | Listen Free on Castbox. The Ultimate pit stop to stay healthy we sit down with friend of the show Mike Olsen of Corrective techniques. This weeks episode features Keaton Hoskins aka The Muscle. First time podcaster bringing massive value to the episode. We zero in on a topic Keaton has a wealth of knowledge on. Tune in to find out what it is! "Your worst case scenario isn't really that bad! "Checklist items:-Clink the glasses-Assume everyone is attracted to you-Stand tall and smile-Approach immediately -Ignore your Insecurities -Check out the band, "The High Kings"Listen to the episode to get all the details on the check list items. Episode 10: Cole Cannon "The Law Father"
I just want to say that this podcast has honestly changed my life. i dont own my own business, but I still apply these tips to my life every day. im currently going to school to be a welder, and this podcast mtoivates me every day. I just want to say thank you to Heavy D, and everyone involved. everything y'all is saying is relevant, and it helps anyone who is willing to apply it. keep up the good work guys, y'all are changing lives. this an amazing podcast. I was expecting to hear about trucks and all that come with it. But the stories, insights, and tips are amazing. The advice is great and the positivity is amazing. This is definatley my favorite one. Keep up the great work! I'm a steady listener now. I actually listen to them several times a piece. I can't use all the information and ideas but definitely pull out plenty t op better myself. which I believe has helped me be a better husband, father, and employee. I look forward to every episode. thanks and keep up the great work. just started listening. I am really looking forward to listening to you guys on my commute to work. I love that heavy d said he wants people to take something positive away from this podcast! the world needs more of this outlook. thank you. off to a great start; keep the heavy advice coming! Amazing podcast everything you have said has inspired me to change my life, keep it coming. just found this app. I was using a different one to listen to these I've heard them all so far. They are fantastic. I've started a checklist and a vision board. I am super stoked to here the next one. Dont wait to make a change, start now and be a better you. one small change at a time. It's never to late to start. GREAT JOB HEAVY D.
Great podcast. I learned something. looking forward to the next one.